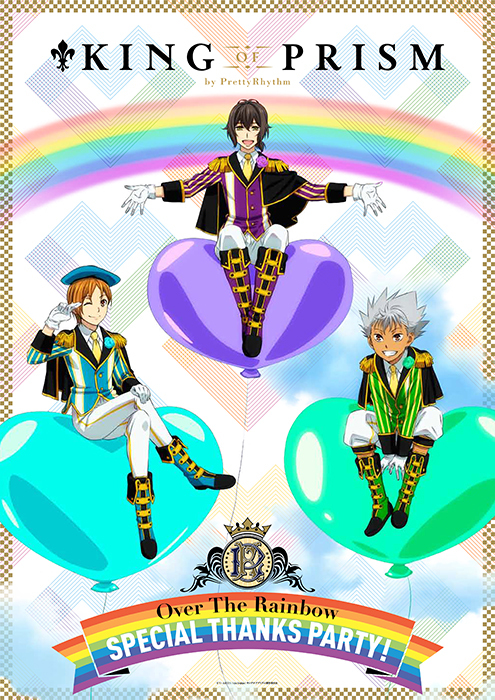 Kinpri2/KING OF PRISM -PRIDE the HERO- released in Japan and South Korea on June 10. You can easily find spoilers from english speaking people in Japan on Tumblrs blogs, Twitter, etc. I’m not planning to read spoilers but will probably inevitably see some. Most Japanese fans on Twitter,especially all the Pretty Rhythm Yakuzas, are really considerate, and only talk about the movie in MP, or made specific new accounts, or are using apps to hide their tweets. They’re really nice. Tweeted by Director, him and all the Edel Rose characters’ seiyuu. Stage greeting on June 11 with Director, Terashima/Shin and Nagatsuka/Leo at Kinecitta cinema in Kawasaki. They did another one at Ion Cinema in Tama Center in Tama City. Decorations was done by the cinema’s staff, signs and messages were left by fans. Director did another stage greeting at Cineplex Makuhari cinema in Chiba but with Nagatsuka/Leo alone. It was the first time they did an event with only the two of them. All of this reminds me of when Kinpri1 got out and when it started getting popular starting end of February 2016, and Director was going all over Japan everyday for the stage greetings and even went to Okinawa. As I reported in the previous post, during the stage greeting and first public premiere of the movie at Wald9,Tokyo on June 10, they announced a new live event for October 21. It seems very similar to the OTR Special Thanks Party held on September 11 2016. They were both announced very early, and they both happen twice the same day so more people can attend. 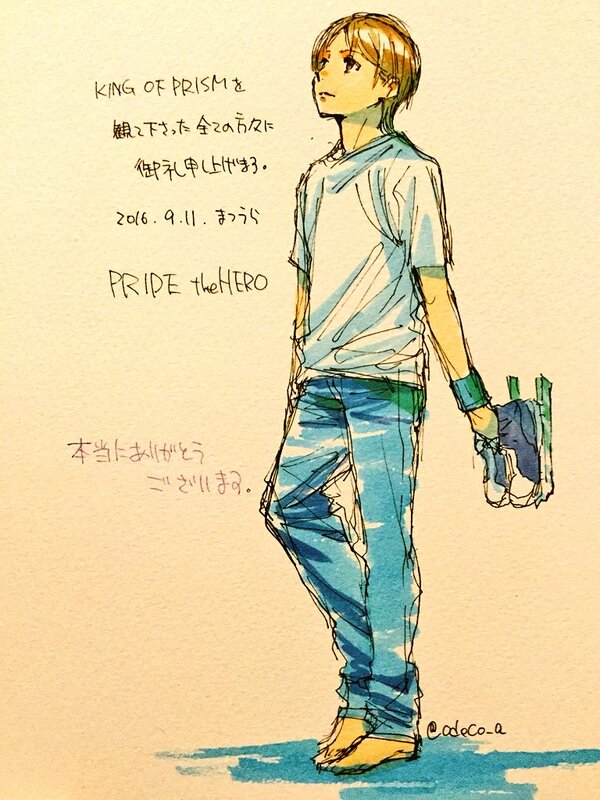 And the September 11 event was when KING OF PRISM -PRIDE the HERO- was announced, so they might announce something new there again. In my case, I think they might announce a Kinpri TV anime. I don’t consider KING OF PRISM a spinoff to Rainbow Live but a direct sequel, I’ve often seen english news site refers it to as a”older females audience oriented spinoff of the little girls oriented series Pretty Rhythm Rainbow Live”. KING OF PRISM is a sequel, not a spinoff. It’s true Naru and her friends aren’t the main characters anymore and it now focuses on Hiro Kouji Kazuki and their juniors, but Hiro Kouji and Kazuki were already main characters in Rainbow Live, and the villain is still the same. While I remember the staff may have used the word “spinoff “in some interviews to describe KING OF PRISM, it’s definitely considered as a sequel by the staff as well. I think it’s bad to be hung up over these kind of things, and it’s just anime, just a hobby, so I’m not gonna push it further. It’s a similar case to how people call Pretty Rhythm an “idol anime” when it isn’t and what I already wrote about this in the past. It’s fine to call it one, but it’s slightly misguiding to do so. And the staff themselves have already used the words “idol anime” to describe it, but also say it isn’t, just like when Director said during Kinpri’s announcement1 “You’d think it’s bad business wise to do another male idol anime as this market is crowaded. However, we aren’t making anime about idols, we’re making anime about Prism Stars”. Now what would be a spinoff would be if in 2019-2020 for the 10 anniversary of the Pretty Rhythm series they do a new project crossover with PriPara and past seasons. Enoki Azusa san(Mion) tweeted she appears in KING OF PRISM -PRIDE the HERO-, reprising her role as Hiro’s mother. Unsurprising since this is Pretty Rhythm and parents characters are important. 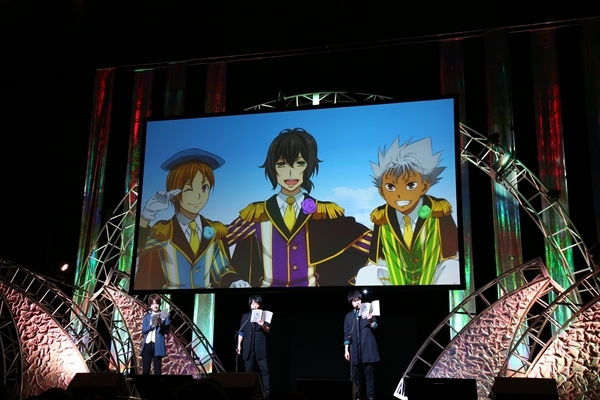 Kinpri1 DVD was announced on March 21 2016 for a June 17 release. So I guess DVD for Kinpri2 should be announced in August, for a October 2017 release. 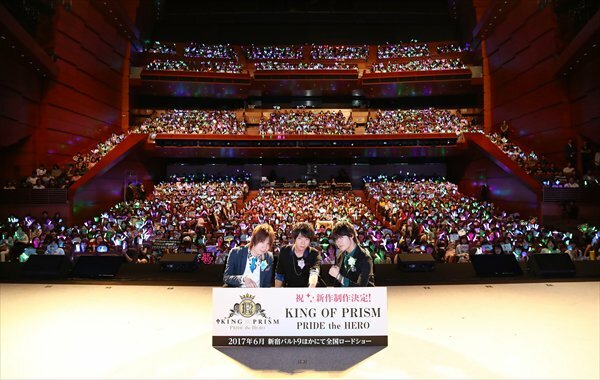 Similar to the KING OF PRISM by PrettyRhythm Prism Elite Meeting events they did last year, they announced the second KING OF PRISM -PRIDE the HERO- Prism Elite Meeting event for June 17. 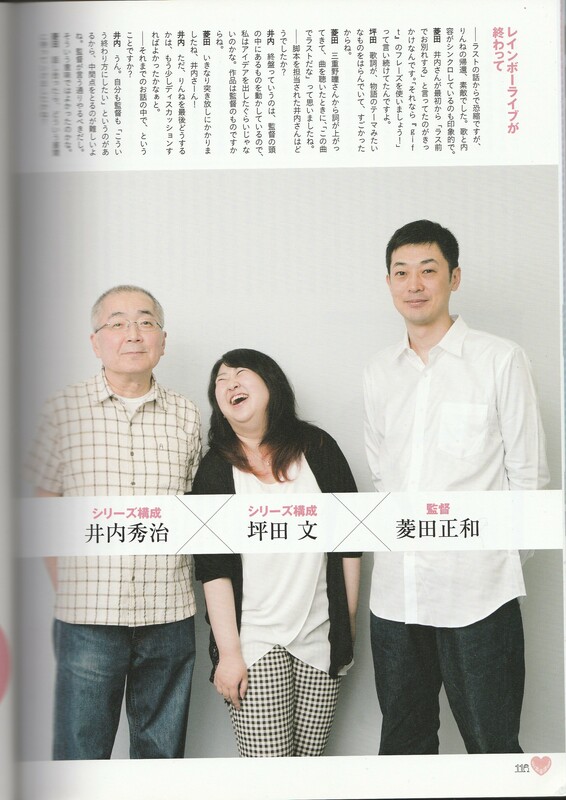 (The first one was the June 7 event with Director, Nishi san and Kato san). I hope it’ll be streamed online. Last year I didn’t care about spoilers, so I could watch these live when they were streamed and write reports about it, but I want to avoid spoilers as much as possible this time, so I will just save the stream if it’s streamed and keep it for later. At worst if it’s not streamed, there will always be Kunieda5gogo’s blog where I could check what happened after seeing the movie myself. 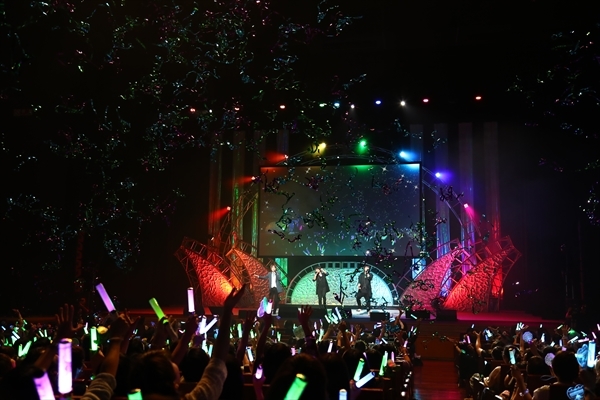 On June 13, NHK world broadcasted Imagine Nation, featuring KING OF PRISM -PRIDE the HERO-. It features an interview of Pretty Rhythm director Hishida Masakazu, Avex Producer Nishi Hiroko and Pretty Rhythm CG Director Otobe Yoshihiro. I haven’t watched it yet as I’m really busy, and it shows a lot of the Prism Show scenes of Kinpri2, and I want to avoid spoilers anyway. I think I’ll only “listen” to it, since they dubbed the interviews in English. They talk about how Kinpri was made, it’s surprising popularity, how it became a cultural phenomenon in Japan changing the way cinema is enjoyed, being the first movie to do Cheer Screenings, etc. Technically, there were others who did it before it, like the first Pretty Rhythm movie. I’m currently writing a post that would basically be this video, but ultra complete and detailed, regrouping all the background info about Kinpri’s making history and how it became a huge thing. Basically I’m doing a “everything you should know about the KING OF PRISM phenomenon” post. I hope I manage to finish it soon. This entry was posted in Opinions on..., Pretty Rhythm and tagged Hishida Masakazu, King Of Prism, KING OF PRISM by PrettyRhythm, King of Prism Pride the Hero, Nishi Hiroko, Otobe Yoshihiro on June 14, 2017 by rockmanshii.